It’s been a while since I simply wrote a post about being a tourist, about the places I visited and the people I met. So it’s about time I think. Sumatra is the biggest island I crossed in Indonesia. The south is full of agriculture and palm oil plantations. To save some time, so I could be a bit more of a tourist up north, I decided to take the main road and just grind away at those kilometres. From the ferry to Lampung, then to Palembang and Jambi. This actually turned out a pretty bad decision with regards to route planning. Three full days of riding transported me a total of 650 kilometres, not a great achievement. The reason for this slow going was a combination of bad road conditions and many, many trucks. On top of that all it rained a lot, usually the entire afternoon. This is a particular pleasure when the only (half) paved road is the road you are on. So everything entering this road brings with them a bucket load of mud. This mud is then sprayed up by the trucks and usually finds its way onto me. Multiple times I arrived at a hostel and I couldn’t work out why the staff was looking at me so weirdly. It was obvious that this part of Sumatra didn’t see many tourists but surely they would have seen a white person before. It wasn’t until I dragged all my belongings up a few flights of stairs and looked in the, usually cracked, bathroom mirror that I saw my usually peachy skin was covered in brown mud and black lines. The lines, I learned later were created by my efforts to clean my face with my disintegrating black leather gloves. 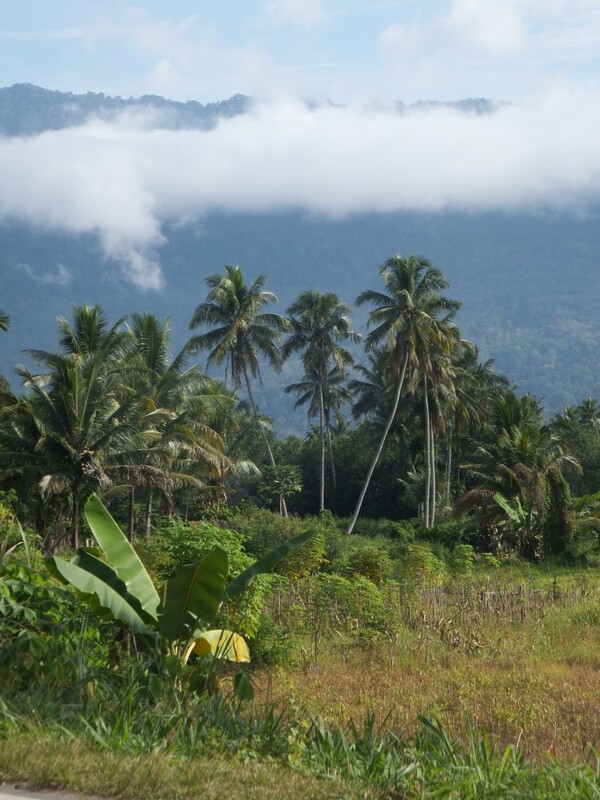 Sumatra started to become a much more appealing place when, after a few days, the sun came out. I know decided to leave the main road and try my luck at some lines that were yellow on the map, instead of orange. From the look of the map I was expecting smaller and worse roads. But, as always, looks can be deceiving. These were nearly free of both potholes and trucks. 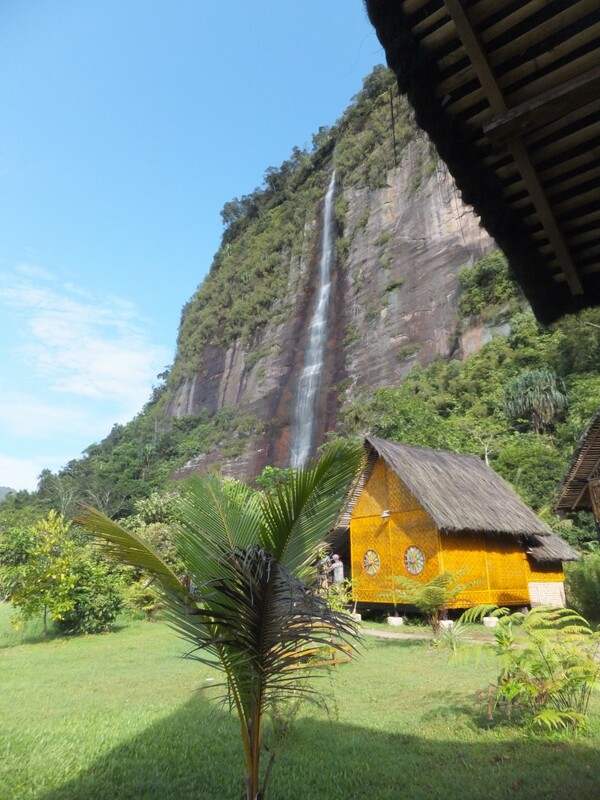 And the third advantage, the scenery changed from endless palm plantations to lush green forest and stunning gorges. 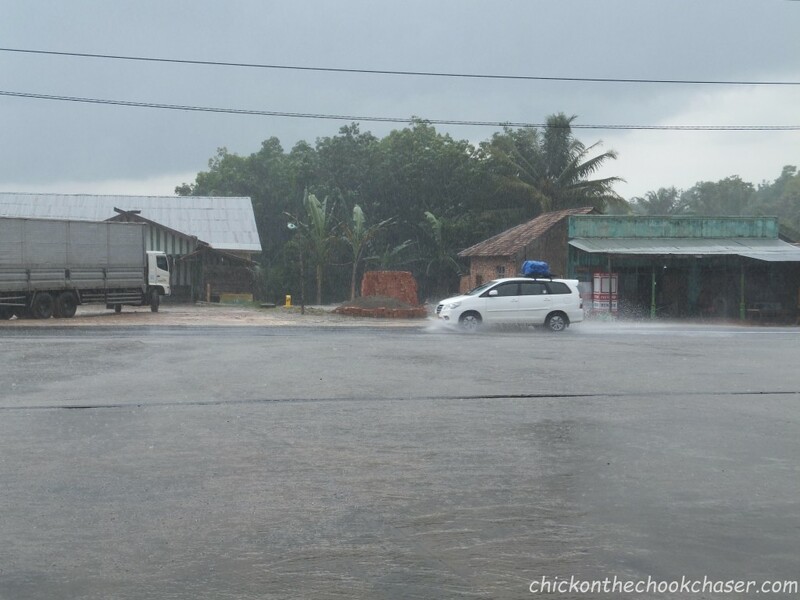 One day the rain returned, flooded the road, turned one of the idyllic streams into a raging mud-flood, and flooded the entire petrol station I was seeking shelter in. The petrol station, and more importantly socializing with the guys working there, turned out to be one of the greatest experiences in Sumatra. The next day it was clear that waiting out the terrestrial rains was the right decision. All over the 150 kilometer stretch to Padang were trees across the roads. Landslides had dumped massive amounts of mud on the road, as well as taken great bites out of the tarmac on the side of the valley. Padang was my first touristy destination. The city is known for its food, you can eat Padang food all over Indonesia. But their signature dish Rendang, slow cooked beef or buffalo, is definitely best eaten in Padang. From Padang it was an easy ride to Harau valley. The rice fields reach all the way up to the canyon where multiple waterfalls come down. To complete the picture I was staying in a small traditional bungalow, looking out over the rice fields from my veranda with a waterfall 50 meter to my right. You see, having your face covered in mud on a regular basis makes you appreciate these things even more. Parked in front of the bungalow next to me was an intriguingly looking bike, a machine bigger than anything that roams the streets of Indonesia. This 600cc beast belonged to a friendly Swiss overlander. We spend the night and morning talking bike travel and enjoying the magnificent view. 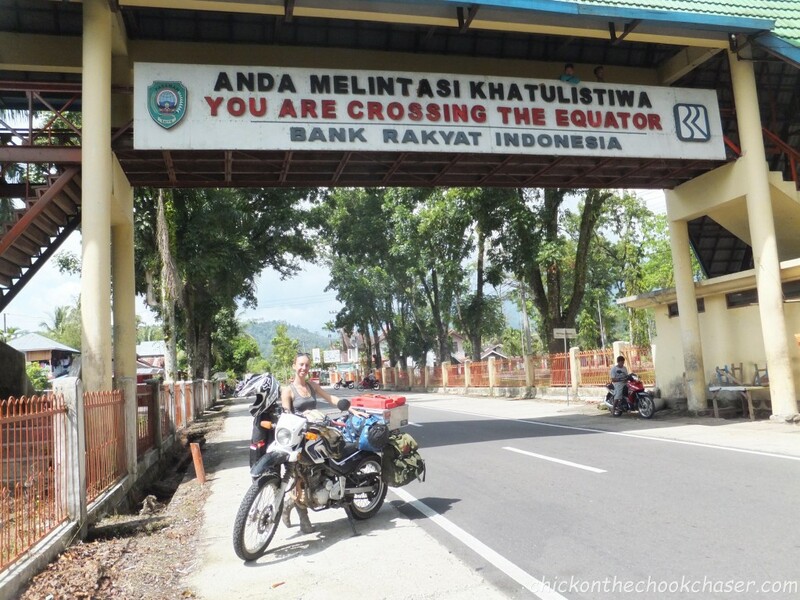 Two more days of riding continued to expose me to Sumatra’s beauty and took me across the equator into the norther hemisphere. Windy roads followed the rivers and carved through the woods. 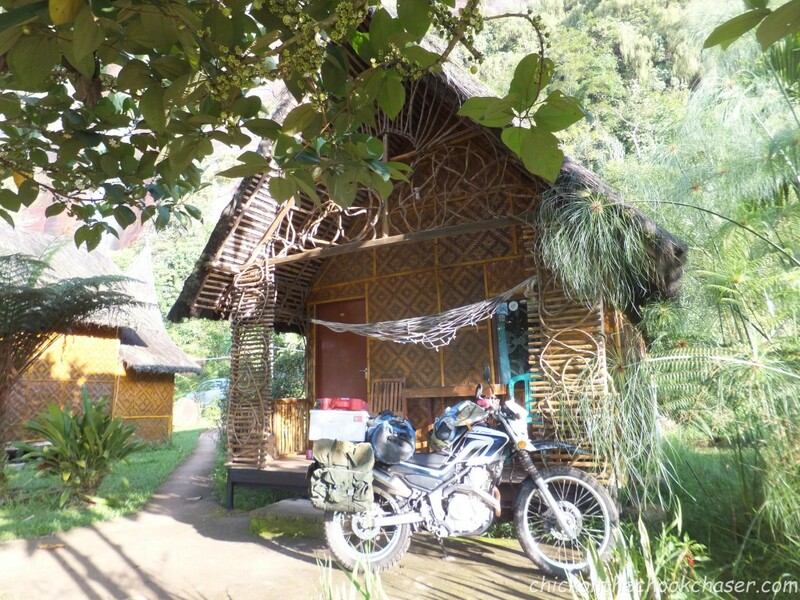 This pleasurable riding led the Chook Chaser and me to Lake Toba, the largest volcanic lake in the world. The last ferry to get to the island in the middle of the lake, where everyone stays, was stopped while I bought a ticket with the bike running. Once arrived I found Liberta Homestay, recommended by a friend. If you find yourself around Lake Toba, go stay there and give the lovely staff a big hug from me. 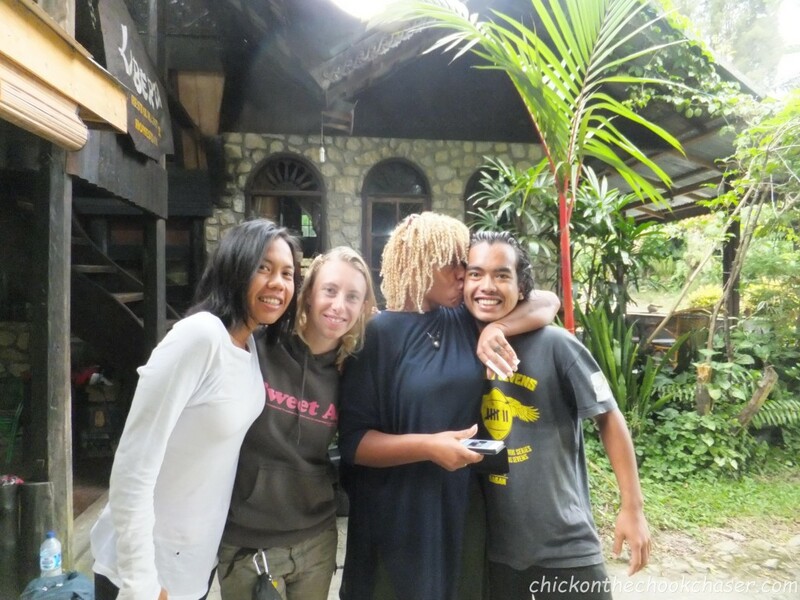 My planned one night at Lake Toba turned into three. Partly because a combination of public holidays and ferry timetables meant I had to leave Indonesia earlier than planned, partly because I met incredible people. We could easily have spent a month together and still it wouldn’t have been enough. It was now time to leave Indonesia, the people and the experiences here have touched my heart in such an incredible way. All that’s left to say is: Thank you all for being on this journey with me! 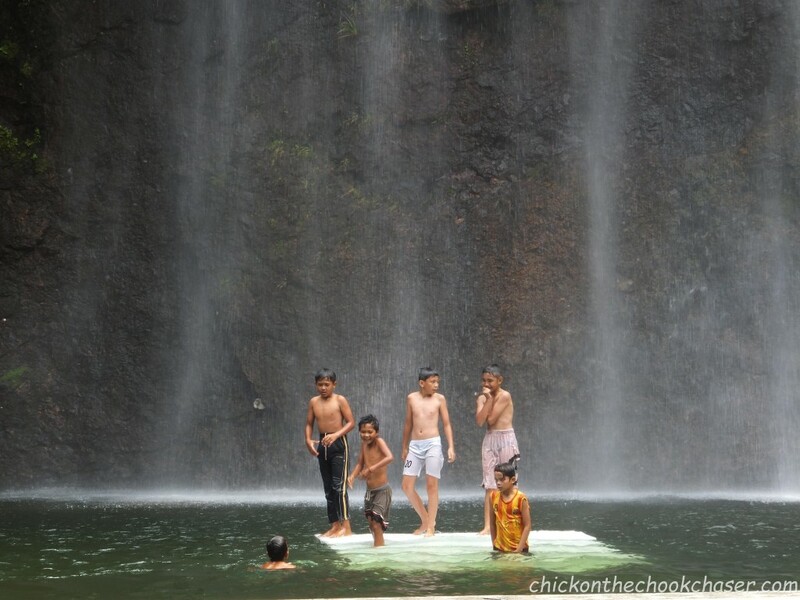 Thanks for finally writing about >Sumatra | Chick On The Chook Chaser <Liked it! great to meet Chantal at Lake Toba, I admire what you’re doing, you seem to have become something of an Aussie chick,with more guts. 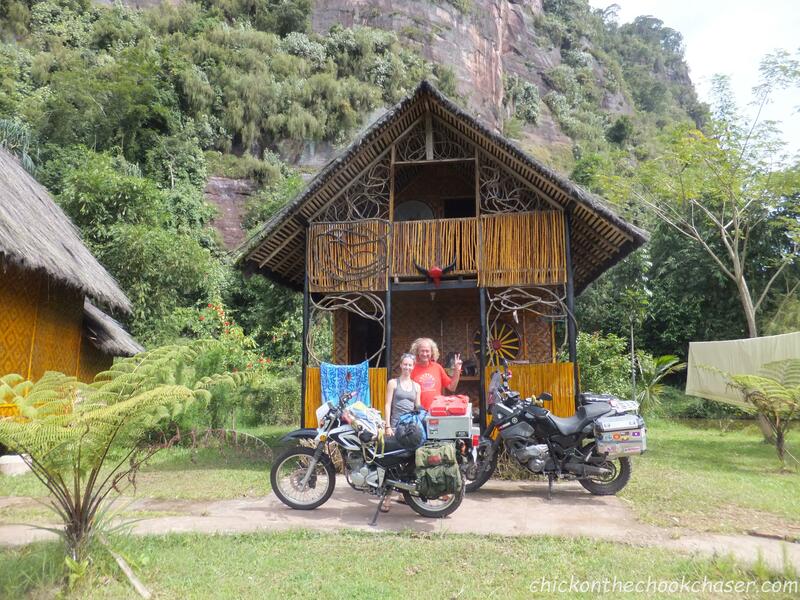 Keep the chook chaser rolling,regards, Marcus, fellow Sumatran bike tourer. George Ferreira on Fear? Fear less!